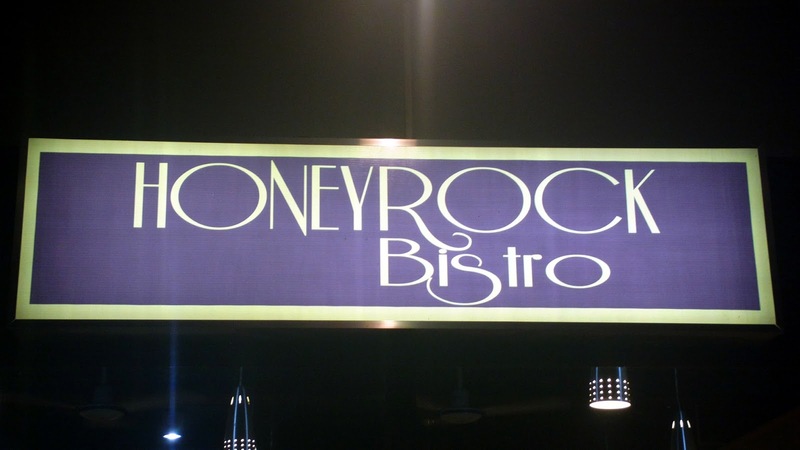 If you’ve missed February 14 for a special date, you can still experience a sumptuous post-Valentine dinner date through yet another exceptional restaurant in the city, Honeyrock Bistro or HRB. Update: Sadly, this establishment is already closed. I haven’t ordered everything listed on the menu so I can’t judge how other dishes fair but one thing I’m sure of, all meat recipes are superb! 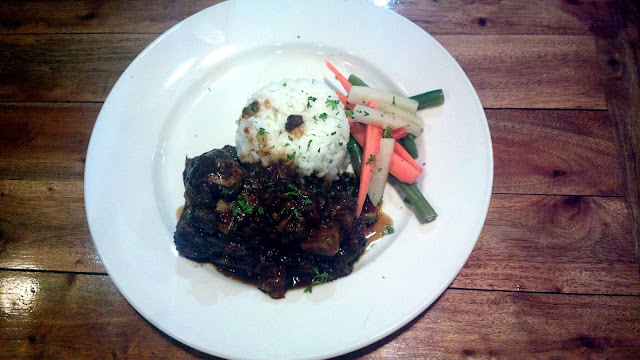 In all occasions we’ve dropped by, we always order Honeyrock Ribs and Zacchaeus Braised Short Ribs matched with any drink including as always, coffee. 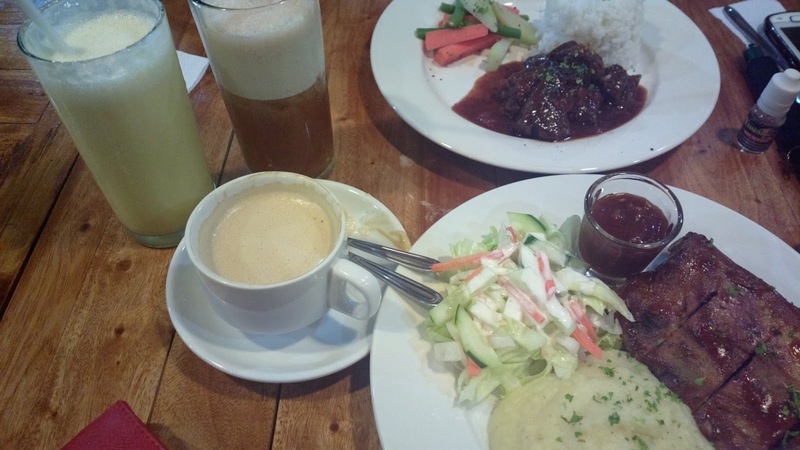 Juices, ice tea, shakes, and that zero degree ice cold beer can also perfectly match your meal. It’s just the half slab baby back ribs dish I order by the way. I don’t think I can swallow an entire full slab. But whether half or full, the ribs are very tender to the bone. You can check out the entire list of dishes through the HRB Facebook page or their Honeychats WordPress blog. Pricing isn’t your typical affordable eatery but I assure you that the prices will be so much worth the dish. 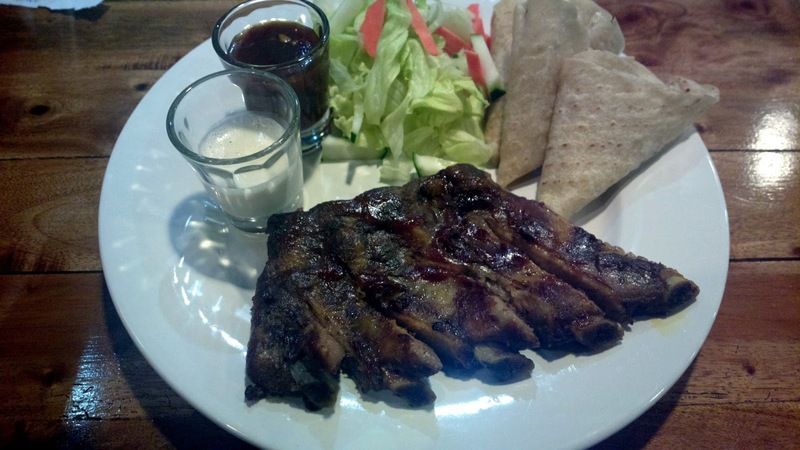 If you compare the prices with Manila-based restaurants, ribs at HRB cost twice as much less. The same applies to other dishes. Everything inside is very comfy and inviting. You might want to sit at the wooden tables and chairs at the far right end corner of the room inside. But if you’re not after AC but fresh air, you can also be seated outside right in front of the restaurant’s parking lot. There are only a few personnel serving you but everyone is friendly and will attend to your needs right away. In one occasion, we were greeted by the resto’s resident chef whom you may also meet in one opportune night. It’s just a few more meters away from the crossing which separates directions to various destinations; left for Dagupan City, right for Asingan, and straight ahead for north bound places like Baguio or La Union. Speaking of Baguio, this is yet another perfect stop for your Baguio trip to Panagbenga. 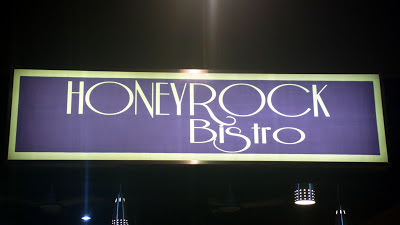 If you’re a meat lover, you will enjoy delectable and tender meat dishes at Honeyrock Bistro. You will also love the fine dining ambiance at a price that’s worth it.